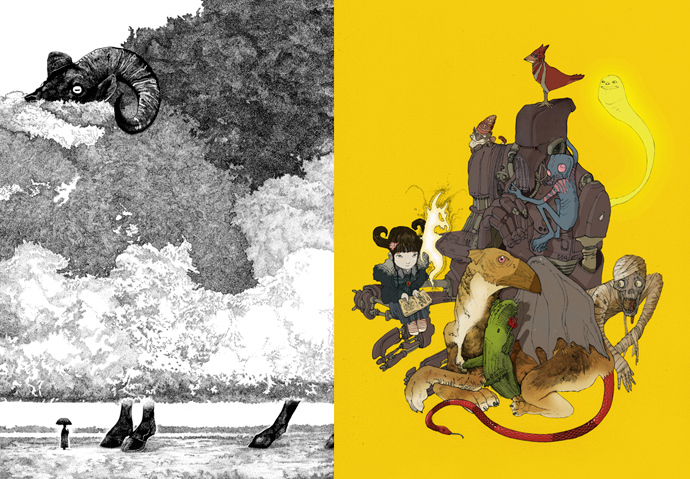 2 of my illustrations, Year of the Ram (left) and "Compendium" (right), were accepted by Spectrum for inclusion in their annual Spectrum 22: The Best in Contemporary Fantastic Art, the authoritative publication in the field of science fiction and fantasy art. I am excited to announce my new graphic novel, The Playground, published by New York City's First Second Books. I am the author and illustrator of this comic book, which is due to be released in 2016. Two children encounter a mysterious ghost in a haunted playground. Is the ghost friend or foe? Is the playground responsible for the paranormal events that have disrupted the life of the neighborhood and its inhabitants? Find out more about The Playground's origins and development in an interview with Paste Magazine. As a member of RISD's Illustration Department faculty, I have recently participated in a large-scale collaborative illustration project for the TEDMED 2013 Conferences, art directing and creating illustrations for publication on the conferences' printed book programs, banners, and various other types of display at the John F. Kennedy Center for the Performing Arts in Washington, D.C. In addition to the exciting challenge of creating artwork in a wide variety of media, it was a joy to research and learn about the accomplishments of the conferences' diverse speakers, whose dedication is an inspiration to creative individuals, and with whom we as visual artists share a common curiosity. 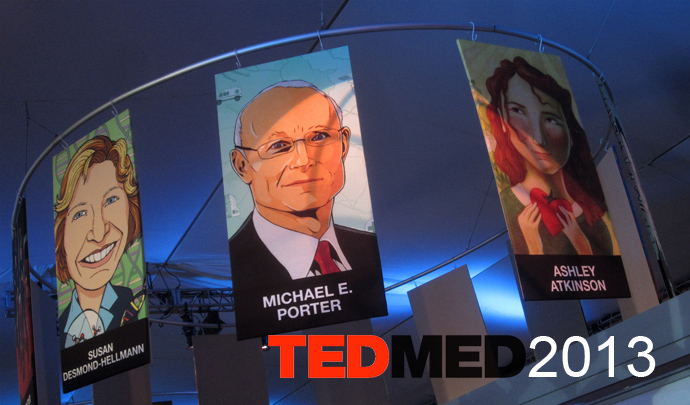 Find out more about my illustrations for TEDMED 2013 here. Kelly and I are interviewed and featured in Chinese publisher CYPI Press' new book Fantasy + 4 - World's Most Imaginative Artworks. 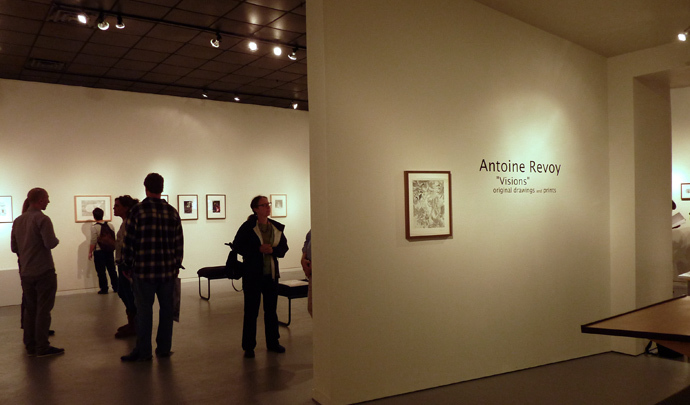 Antoine Revoy's original drawings and prints will be exhibited at the University of Rhode Island in the solo show "VISIONS". 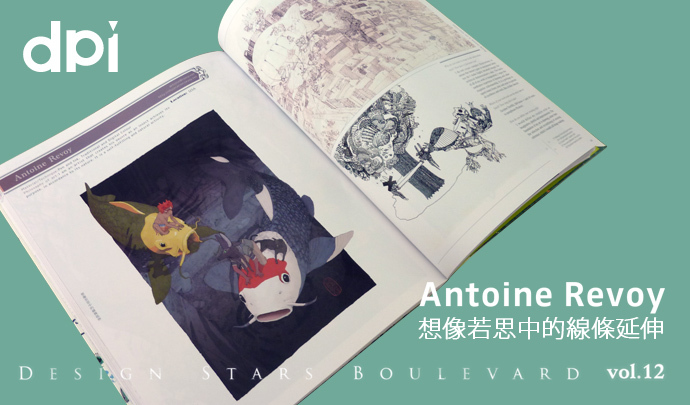 Antoine is featured in Print Magazine's June 2012 issue. 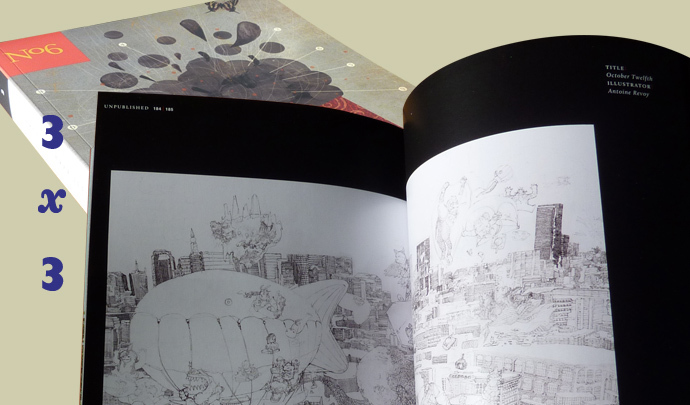 His illustration "Meteorites (Noah's Ark)" was awarded in Print Magazine's Hand Drawn 2012 competition. Antoine is one of the Rhode Island School of Design alumni chosen to be featured in the select exhibit RISD ICONS: A Legacy of Illustration from the Rhode Island School of Design, which will be held at RISD's Woods Gerry Gallery from June 12th to 25th, 2012, in conjunction with the ICON7 conference which is organized in Providence, RI, this year. The RISD ICONS show opening will be on June 13th. 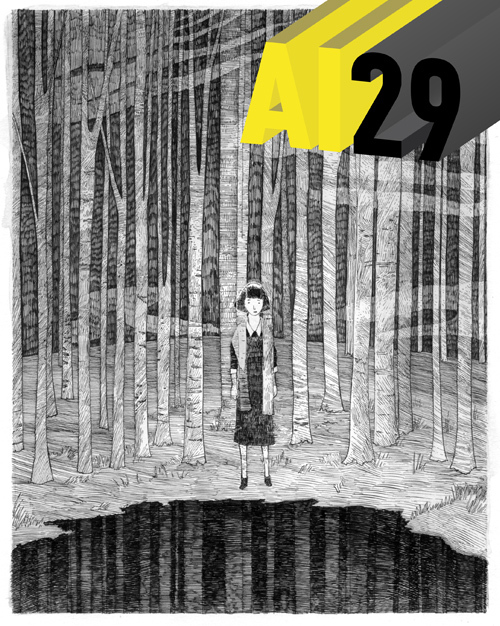 My illustration “Follow the Yellow Brick Road” was chosen by American Illustration for publication on their website on the occasion of their 31st annual competition, AI31. My Halloween-themed illustration “Trick” was selected by Spectrum for the second consecutive year for inclusion in their annual Spectrum 19: The Best in Contemporary Fantastic Art, the authoritative publication in the field of science fiction and fantasy art. Kelly Murphy and I earned a Gold Award in the book category of the Society of Illustrators of Los Angeles's 50th annual competition, Illustration West 50, for our illustration "The Lodge". 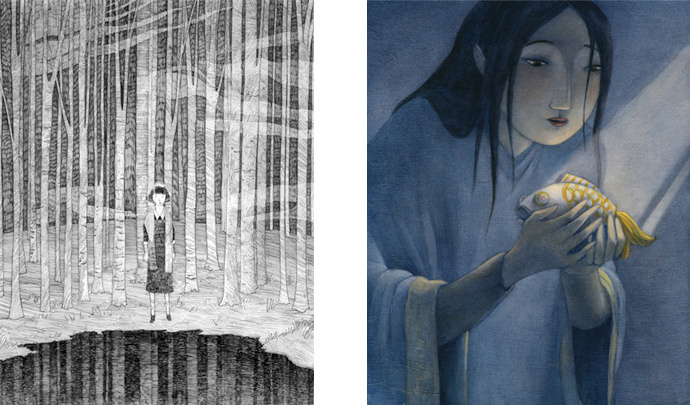 Kelly Murphy also earned a Bronze Award for her illustration "The Princess and the Golden Fish" and an honourable mention for the cover of "The Unicorn's Tale". 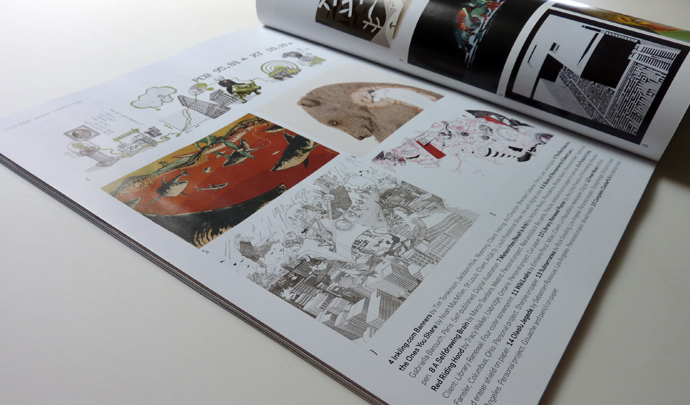 My work is featured in Taiwan-based illustration and design publication dpi Magazine's Design Stars Boulevard vol.12, a special edition on meticulous art. My specific article's title can be loosely translated "The Extension Lines of Imagination". It was an honour to be selected among such diverse and inspirational artists as junaida, Kris Kuksi, Bente Olesen Nyström, Tomislav Tomic, Marie Desbons to name a few, as well as to join my wife Kelly Murphy, who had been featured in the very first volume of this series, Design Stars Boulevard vol.1. I have launched www.charakarts.com, a website to showcase my character design side project Charakarts™. 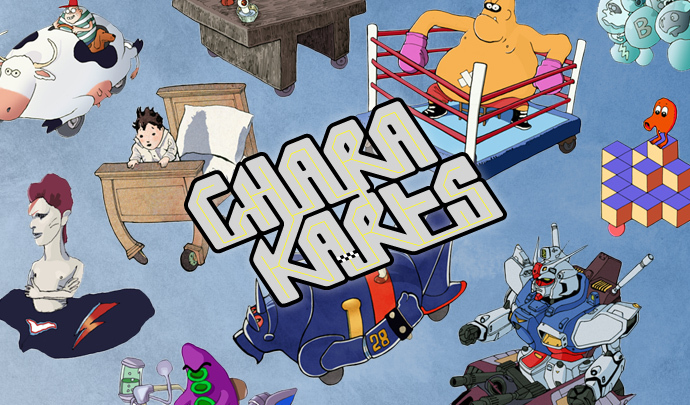 Charakarts are an eclectic ensemble of characters racing imaginary kart-like vehicles, coexisting in a world inspired by racing videogames. Charakarts find their source in various genres, including but not limited to art, music, film, comics, manga and television. My logo design work has received a Gold Award from Graphis, The International Journal of Visual Communication, a bastion of excellence in design and visual imagery, and will be published in its annual Graphis Logo Design 8. 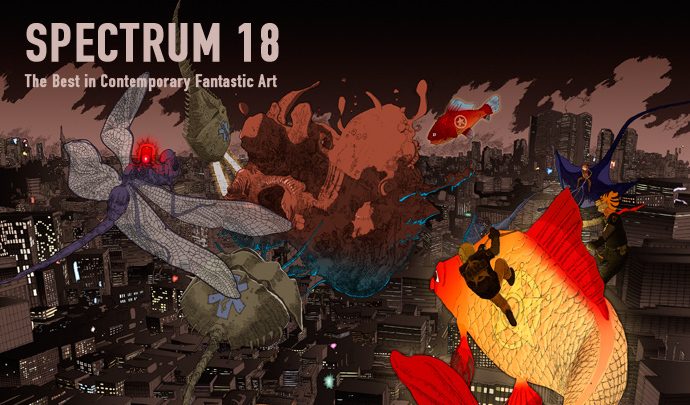 My work has been selected by Spectrum Magazine, the authoritative publication on fantastic-themed illustration, for feature in this year's annual, Spectrum 18: The Best in Contemporary Fantastic Art. Antoine Revoy and Kelly Murphy's collaborative illustration "The Lodge" was selected by The Society of Illustrators during the course of its 53rd annual competition. 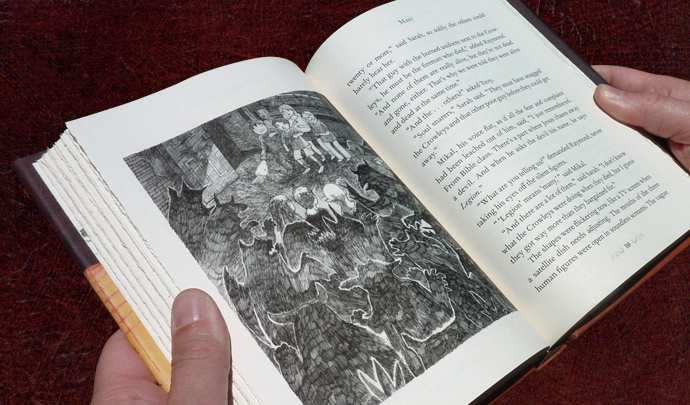 The illustration will be featured in the society's 2011 Annual Book and the original will be presented at the Museum of American Illustration at the Society of Illustrators's Book and Editorial Exhibit. Haunted Houses (Are You Scared Yet? ), written by Robert D. San Souci and illustrated by Kelly Murphy and Antoine Revoy, is out in stores today. 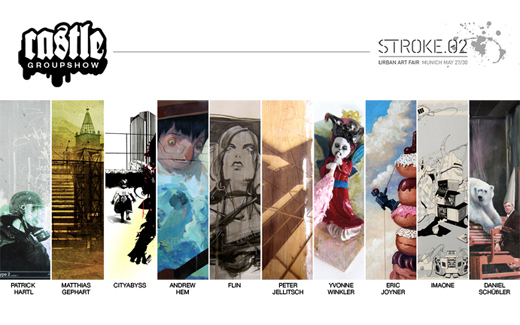 If you are in Munich, Germany this week, do not miss the astounding CASTLE Groupshow at the STROKE.02 Urban Art Fair, which runs from May 27th to 30th. You will be treated to the stupendous work of Patrick Hartl, Matthias Gephart, Cityabyss, Andrew Hem, Flin, Peter Jellitsch, Yvonne Winkler, Eric Joyner, IMAONE and Daniel Schüßler. Antoine Revoy and Kelly Murphy's collaborative illustration "The Lodge", created as one of the illustrations of the horror book Haunted Houses (Are You Scared Yet?) 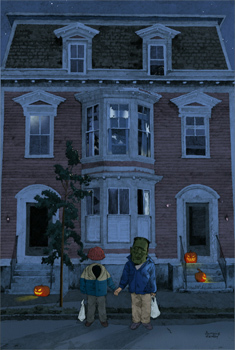 was chosen by American Illustration for publication on their website during their 29th annual competition. Antoine Revoy was selected in the 3x3 Illustration Annual No. 6, published by 3x3 Magazine. 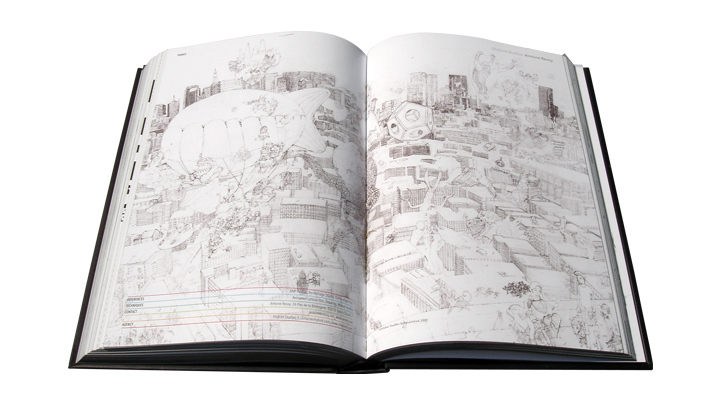 His illustration "October Twelfth" is featured as a double page spread. 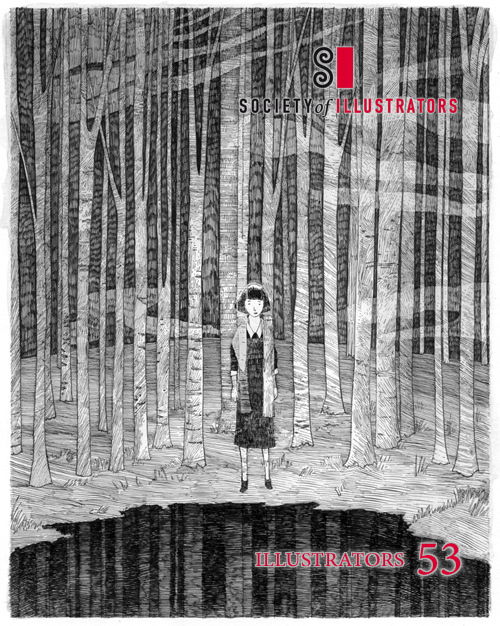 3x3 Magazine is devoted entirely to the art of contemporary illustration. This annual is available for purchase via 3x3 Magazine's website. 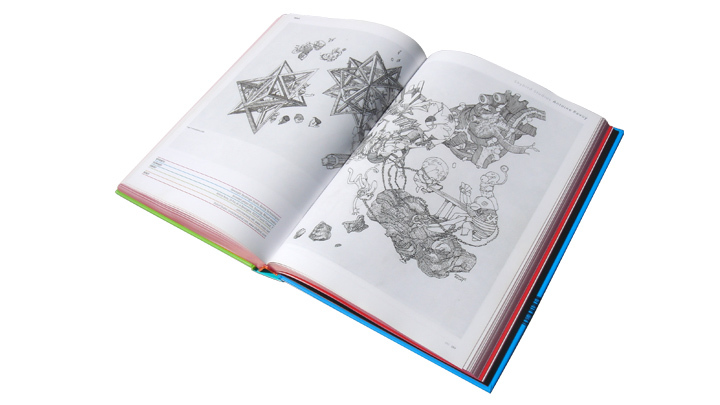 Antoine is amongst the 24 international artists featured in BEYOND ILLUSTRATION: The Finest in Contemporary International Art & Illustration, edited by Patrick Hartl and Yvonne Winkler of castlemagazine and published by Publikat. 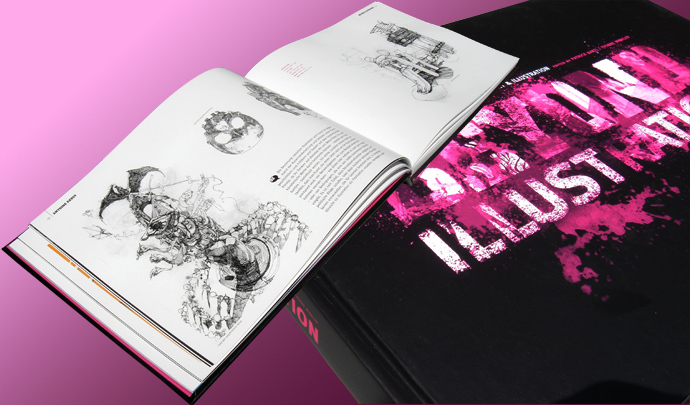 BEYOND ILLUSTRATION presents 24 of the most respected world-wide artists in great detail, on 200 coloured pages featuring background information, interviews and artwork. The featured illustrators are Andrew Hem (US), Dice Tsutsumi (JAP), Ima One (JAP), Kenichi Hoshine (US), Antoine Revoy (FR), Cityabyss (PO), Vierfarbraum (GER), Daniel Schüßler (GER), Nicholas di Genova (CAN), Eric Joyner (US), Stylefighting (GER), Flin (GER), Jeff Färber (US), Starjump (GER), Ecb (GER), Tomer Hanuka (ISRAEL), Clifford Urban (BEL), Joshua Hagler (US), Content Provider (GER), Vandata (GER), Lucas Aguirre (ARG), Fons Schiedon (NED), Konstanze Schöffl (GER), Os Gemeos (BRA). 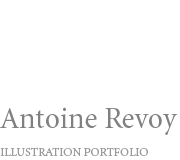 This publication features an interview of Antoine Revoy, in english and german, as well as 9 pages of his illustrations. If in the USA, you can purchase this book on Amazon, while anyone in Europe can also purchase it on Stylefile. Antoine Revoy's work is featured in »Freistil Black: Best of European Commercial Illustration 4«, the fourth issue of the illustration biennial published by Verlag Hermann Schmidt Mainz. 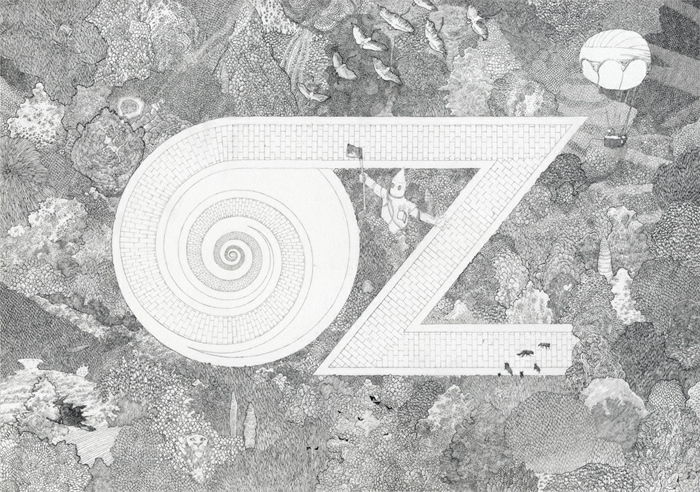 This fourth issue is strictly dedicated to illustrations in black and white. Amongst other websites and stores, »Freistil Black« may be ordered on Amazon or typografie.de. Antoine Revoy represents France in Freistil 3 - Best of European Commercial Illustration, published by Verlag Hermann Schmidt Mainz. Amongst other websites and stores, this book may be ordered on Amazon or typografie.de.